Walks along the way | Can I Bring the Dog? Driving along mostly-two-lane Route 6 gave me a chance to spot good places to walk Chico. 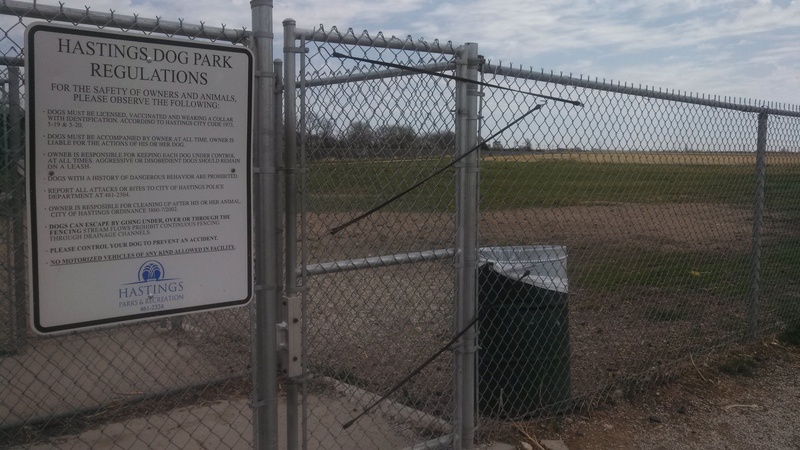 This is the entrance to the many-acre dog park in Hastings, Nebraska. It goes all the way to the far edge of that dead grass in the background. 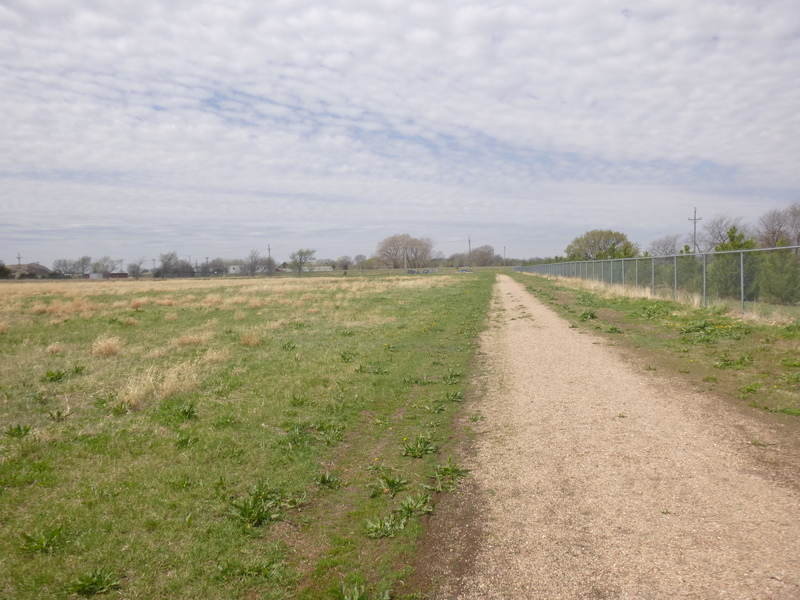 It might be an old landfill, I wasn’t sure, but I bet it was twenty-five acres of fenced field. Lots of poop bags by the gate, trash cans and chairs every few hundred feet along the fence line, lots of room, and only one other person and dog making use of the space. We walked the perimeter. 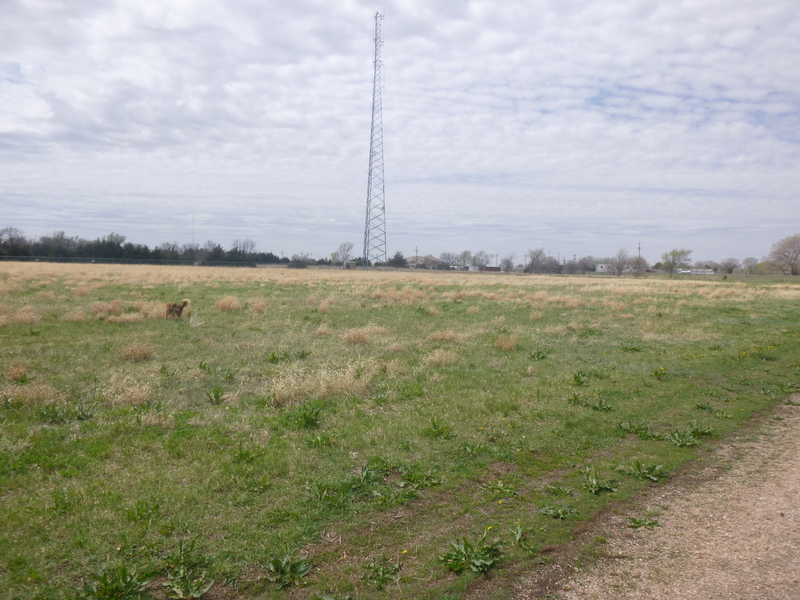 Actually, I walked the perimeter and Chico ran back and forth in the field near me. The empty, grassy, parking lot of the Warren County (Pennsylvania) Fair also provided a nice thirty or forty minute walk. Cemeteries also prove to be a good place to walk. There’s usually no one around, lots of trees surrounding, grass, interesting things for me to look at and for Chico to sniff. 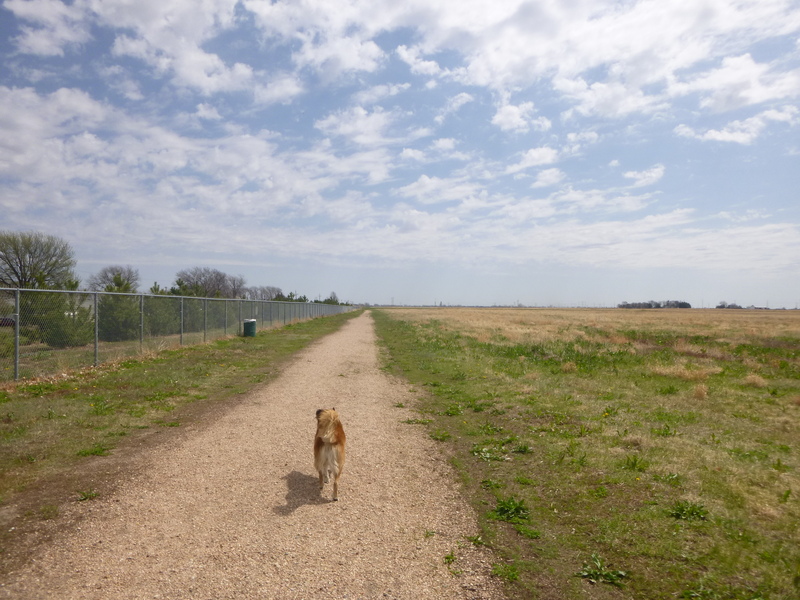 This entry was posted in Uncategorized and tagged dog parks, off-leash walks. Bookmark the permalink.